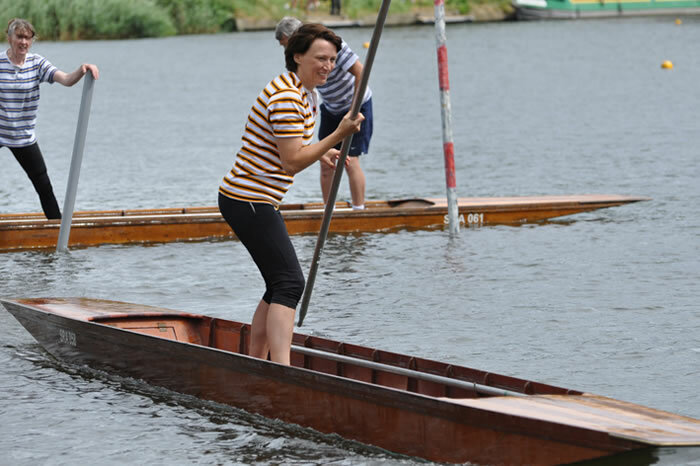 The Skiff Club Presents the 2019 Franckeiss Cup: A Herculean achievement! 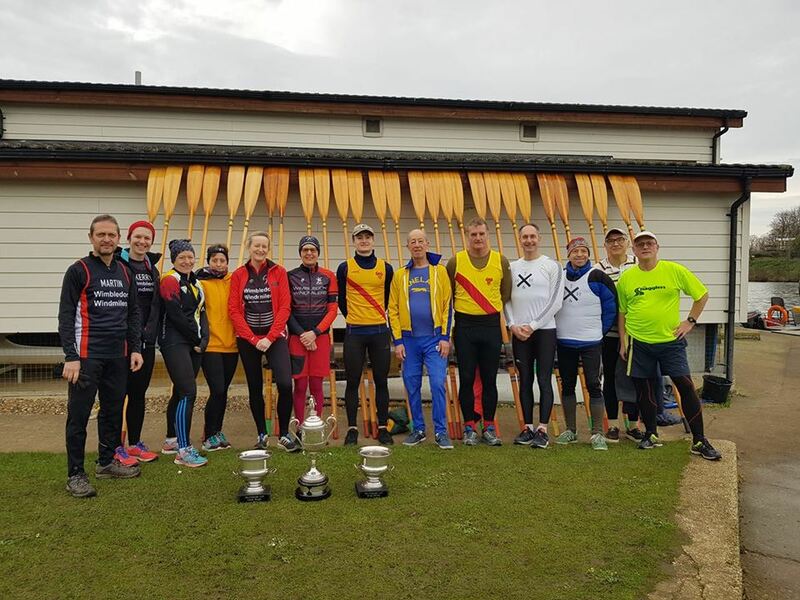 The Skiff Club once again held the Franckeiss Cup bring together the running clubs from the area. This year gave us another exciting day at the races, with Hercules Wimbledon gaining a clean sweep of all the cups. Nevertheless, it wouldn’t have been a competition without the entry of crews from Wimbledon Windmilers, Ranelagh Harriers, Thames Hare and Hounds and Stragglers to give us some close races. Stragglers, Dominic North and Hubert Cibis outed the Thames Hare and Hounds crew – previous winners of the Franckeiss Cup (by 1 length. Martin Gough (Wimbledon Windmilers) and Paul Gregory (Ranelagh Harriers) were gaining ground on Hercules to lose their heat in the second fastest time of the day. However, the Mens Doubles was again easily won by Hercules in the fastest time, 12 seconds faster than the heat, a display of skiffing so smooth it looked effortless – we shall try and copy. The Ladies and Mixed Double races saw Hercules see off crews from Wimbledon Windmilers and Stragglers to create the clean sweep. Congratulations to all competitors and thanks to all helpers from The Skiff Club that make this event happen every year. We look forward to the return of Surbiton’s 26.2 and Walton Athletic; together any other new running club from the area that can put pair of runners to crew a skiff in 2020 Franckeiss Cup.